Leading Service Provider of international shipping services, international air freight forwarding service, international exhibition logistics service, international freight forwarder service and international sea freight forwarding service from Delhi. 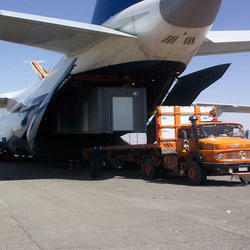 Being a quality conscious entity, we are committed in providing the best quality Air Freight Forwarding Service. Rendered by us at cost effective prices, these services are known for their execution within promised time frame. As per the specifications provided by the customers, these services can be customized. By taking care of specialized requirements of our clients, International Exhibition Logistics Service is known for handling different international exhibition occurred in India or other parts of the world. We rely on our international network in order to offer door to site movement under the proper guidance of our deft professionals and promote proper documentation, packing, warehousing, forwarding, shipping, on-site service and repacking service. For providing reliable service within the targeted time frame at cost effective prices, we have experienced and skilled professionals who have the complete knowledge of their respective domain. We follow a proper and systemic procedure for performing all the functions related with the transportation of the goods. 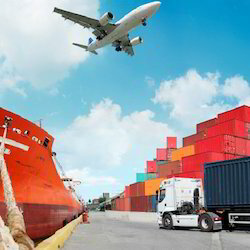 Acknowledged for providing comprehensive International Sea Freight Forwarding Service, we have spread our network in major world markets by connecting North America to Asia and Europe. 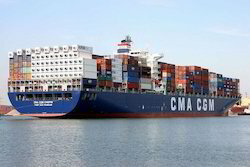 Relying on more than a dozen ocean carriers provide transportation for trans-Pacific and trans-Atlantic services. By regularly contacting our clients, we are constantly able to meet the specifications of our esteemed clients and help them to save landed costs, while having options to opt from a large pool of weekly sailing sea carriers. Therefore, SAL Logistics is well treasured among our clients for competitive rates, transit times and scheduled sailing options. 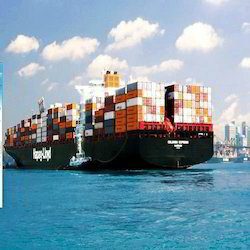 We have marked a special niche in the global market by offering superior quality Sea Freight Forwarding Service. 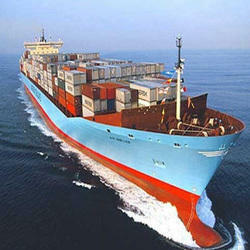 These services are used for shipping and logistics applications. Owing to their timely execution and cost effectiveness, these services are highly demanded in the market.